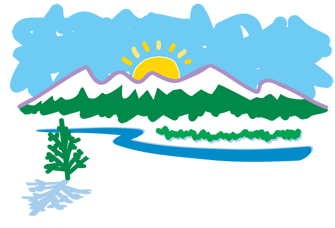 Mission Mountain School is a fully accredited member of the Pacific Northwest Association of Independent Schools (PNAIS) and the Northwest Association of Accredited Schools (NAAS), and is a full member of the National Association of Therapeutic Schools and Programs (NATSAP). In 2005, we received our re-accreditation from the Pacific Northwest Association of Independent Schools. This honor came to us after the successful completion of a rigorous year-long self study process culminating in a four-day on-site evaluation by PNAIS examining first hand all aspects of MMS programs. Two independent school heads with 35 years of combined experience in both boarding and therapeutic schools led the on-site evaluation assisted by four highly qualified professionals with credentials and expertise in curriculum design, traditional and experiential education, psychology/counseling and independent school management. An exemplary risk management program, which balances student decision making and boundaries of acceptable risk. “Mission Mountain School is well positioned to serve as a model of excellence in supporting a young woman’s quest for self-actualization. MMS is a community that not only strives for excellence but exemplifies the greatest attributes of human dignity and respect for others.